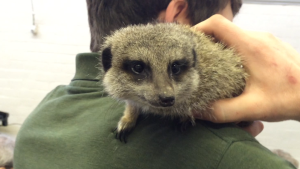 Exciting times at T&T this last week when we had a visit from a mobile zoo! 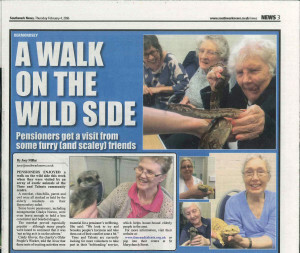 Dropping in to get acquainted with our Older People’s Happy Mondays group were a meerkat, a barn owl, and even a skunk! Not to mention some scaly creatures – snakes! lizards! – which Happy Mondays members were excited about, but our staff ran a mile from… Some people who weren;t so sure got in there anyway. 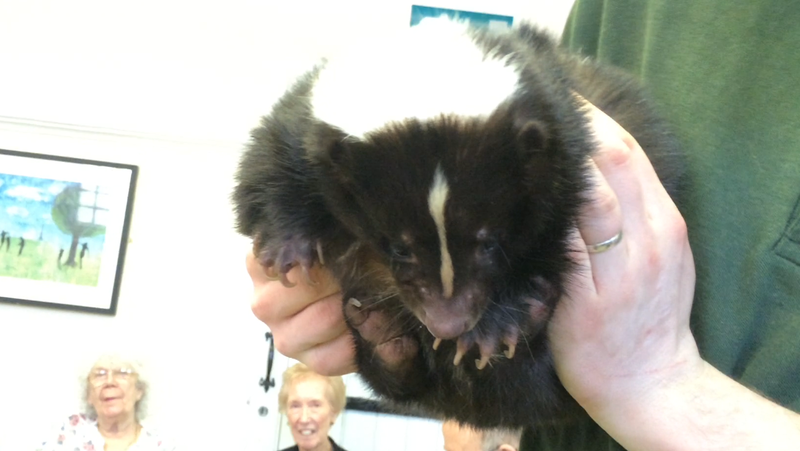 The skunk wasn’t smelly, but surprisingly, the meerkat was, a bit! And much smaller than they look on TV…. For us, what’s really good about Happy Mondays is that it keeps people trying new things – and coming a little bit out of our comfort zones. Being a bit older doesn’t mean just bingo! We were delighted to see a great article in Southwark News about our event, and hope it will draw in more people, both to take part, and, we hope, to volunteer. Unsurprisingly, our zoo day was very popular with our current volunteers – and we’re very happy they enjoyed it too, given all the time and talent they contribute to T&T!